Say hello to happier hair! We’ve launched a new Fusio Dose bar in salon where you can watch your stylist mix your hair’s remedy for stronger, shinier and softer hair. 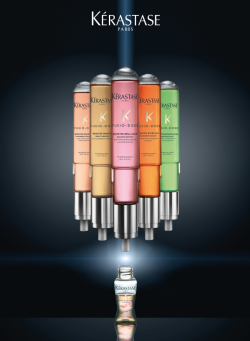 This Kérastase Fusio-Dose treatment is a range of treatments customised for resolving all your hair concerns for an instant transformation. The ritual begins with a diagnosis. Your stylist will examine your strands to identify the primary and secondary needs of your hair with an elasticity, shine and comb test. A strand is simply stretched and released, if it breaks easily – the hair will be categorised as weak. Using your hair, your stylist will use a section of hair as a mirror to reflect light. If the hair does not reflect the light, it is dull and lacking shine. Your stylist will pass the comb through your hair to see if it glides through easily. If the comb gets stuck at the mid-lengths, the hair is dry and sensitised. Based on your hair diagnosis, your Rush stylist will then select and mix your diagnosed Fusio-Dose concentrate and booster treatment at the bar. This treatment will be designed to specifically target your hair’s needs – dry, dull, colour damaged, fine/ thin or frizzy hair. The mix will be applied section by section to the lengths and ends of your hair in our indulgent spa-like treatment rooms. If your hair suffers from any of these common problems, ask your stylist about a Fusio Dose treatment. Plus take a look at more revitalising hair treatments in salon.